I'm sharing this happy, preppy Diamond Baratta image today for Day Nine of my 31 Days of Pink series. Diamond Baratta designed this weekend home on Long Island with the owner's love of Nantucket in mind. The images are from their book Diamond Baratta Design. Linda, from My Crafty Home Life, is doing 31 Days of Nantucket Style, and asked me to guest post for her. 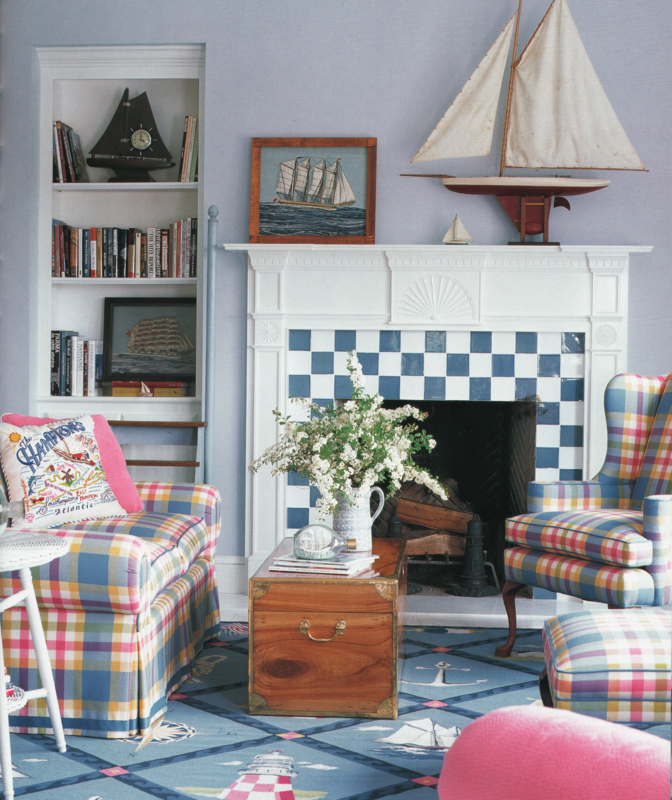 Go here to see my guest post and the rest of the images of this exuberant Nantucket Style home. Please tell Linda hello for me!